Those valuable insights should be returning soon. During a Q&A session at St. Petersburg's White Nights games conference, Valve Head of Business Development Jan-Peter Ewert commented that the company is actively "working on new tools and new ways of getting data out of Steam" that Valve hopes will in fact be "more accurate and more useful than what SteamSpy previously offered." Those are pretty lofty goals, but we're all for something to replace SteamSpy, especially since it was extremely useful, after all. 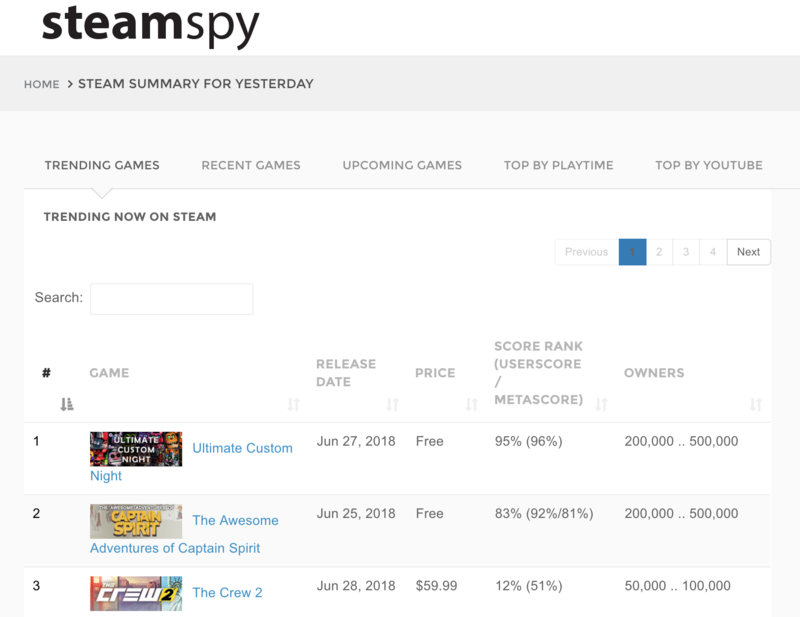 Ewert explained that Steam's position for gamers is to offer open APIs for users to fill in the gaps when Valve doesn't provide everything the consumers are looking for, though he went on to shade SteamSpy somewhat, stating that its methods lead to "a broad variance in how accurate it was. It was very accurate for some things but very inaccurate for others." Now, Ewert has clarified that Steam should be working on something even better than SteamSpy was, so that's what we should be seeing in the future. If you religiously depended on SteamSpy's various tools, hopefully we'll see that come to fruition in the near future.